Honda Cars India sells a solitary SUV in the form of the CR-V. Known for its refined manners, the CR-V often finds mention as a car is SUV clothes. However, the petrol-only nature of the crossover has meant that it is a relatively slow seller when compared with other diesel SUVs at its price point. Honda assembles the CR-V crossover through the completely knocked down (CKD) kit route at its Greater Noida factory in India. A steady following for the crossover has meant that Honda manages to sell about 150 units of the CR-V each month, exhausting its monthly production capacity. Adding a diesel engine to the CR-V is certain to make the car more acceptable to SUV buyers given the fact that more than 9 out of 10 luxury SUVs sold in India are diesel powered. 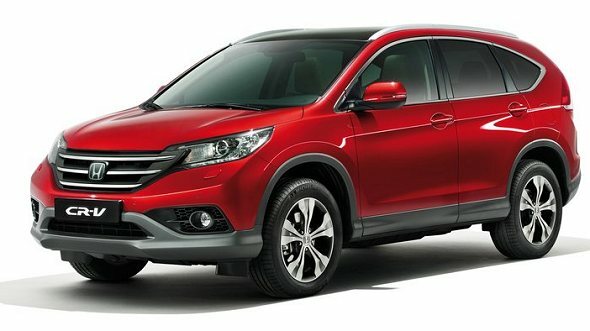 According to AutoCarIndia, the Honda CR-V is likely to get a 1.6 liter i-DTEC turbo diesel engine in 2015, the first of Honda’s EarthDreams platform based turbo diesel motors that was launched in 2011. This engine powers the Euro-spec versions of the Civic sedan and the CR-V crossover. A downsized version of this engine – with a capacity of 1.5 liters – does duty on the likes of the Honda Amaze and City sedans in India. Known for its high fuel efficiency, the 1.6 liter all-aluminum i-DTEC turbo diesel engine of the CR-V outputs 118 Bhp of peak power and 300 Nm of peak torque. The 1.6 liter i-DTEC engine c0uld be produced locally as Honda already builds the 1.5 liter i-DTEC motor in India, at its Tapukara factory in Rajasthan. Honda is also said to be working on a twin turbocharger equipped version of the 1.6 liter i-DTEC engine. The twin turbo version of the diesel motor is likely to power the Accord luxury sedan. Currently, Honda has discontinued the Accord sedan in India. However, the car maker is considering a relaunch of the Accord in India during 2015, in hybrid guise. A diesel engine may also be a part of the Accord equation for India in the years to come. In what began as a trickle with the Amaze Diesel, Honda’s diesel cars for India could soon assume the form of a raging torrent.